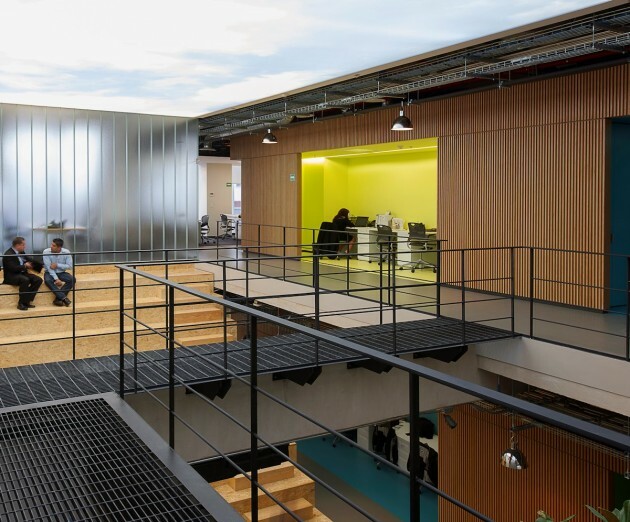 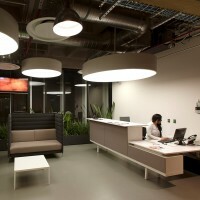 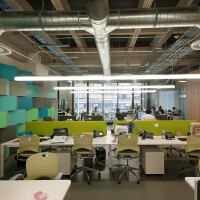 JSa have recently completed the offices for Cincomdos in Condesa, Mexico. 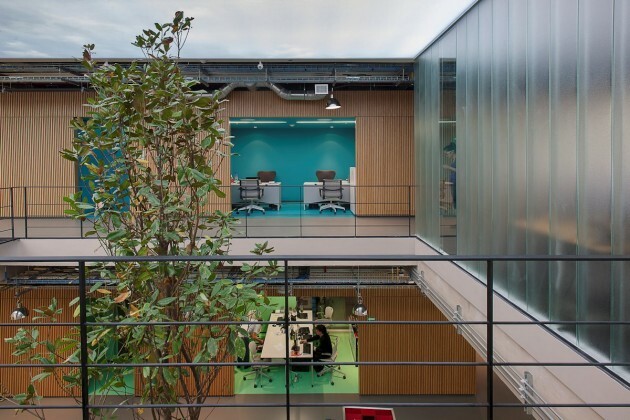 Cincomdos bought two entire floors at Torre Amsterdam for their new offices. 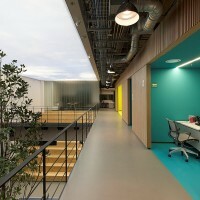 An area that includes a double height space that connnects both levels. The double height space is adopted for collective use, housing some bleachers made of chipboard wood used as a meeting space and training room. 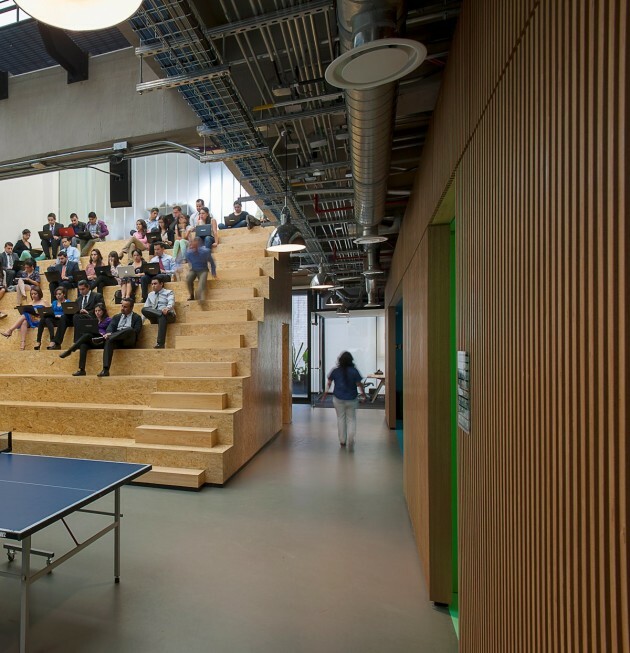 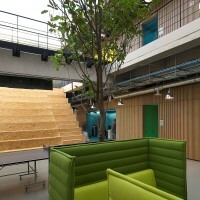 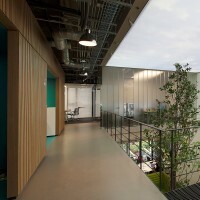 A magnolia tree complements the double-height, game area (ping pong and foosball table), and meeting room. 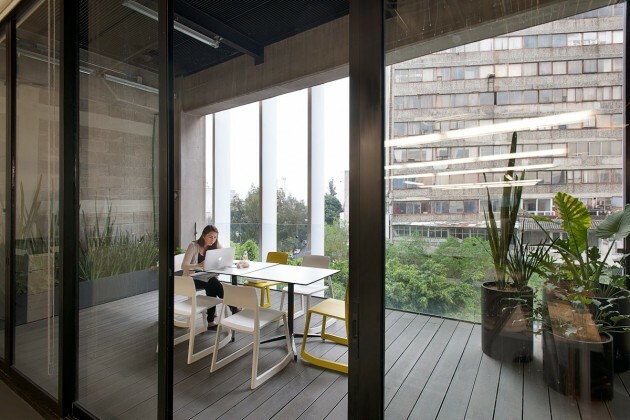 Leveraging existing terraces, the interior spaces were attached to them, programming them, sometimes as private terraces and other as communal spaces. 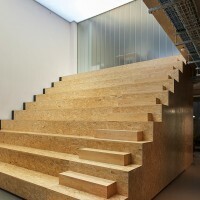 The core of elevator, stairs, and bathrooms, defines service areas to the center of the plan, which is understood as a wooden box. 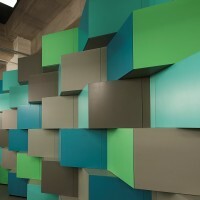 We chose colors that contrast with the wood color so they feel as colored boxes inside the big wooden box. 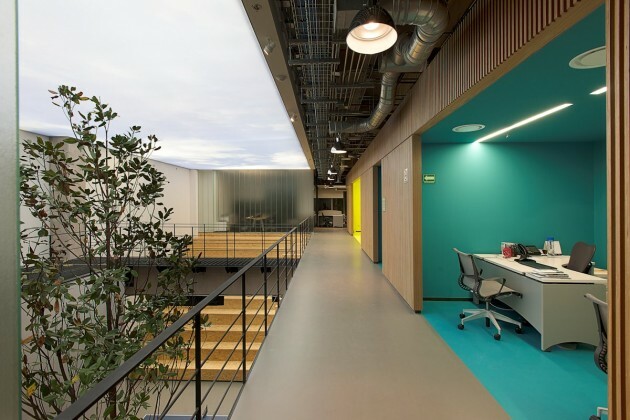 Resin floors, walls and ceilings, respect the color space, furniture contrasted with the white covers. 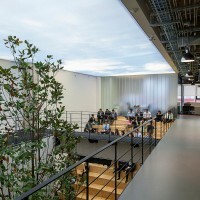 The spaces located on the facade must allow the highest passage of natural light, so they are transparent spaces, with glass partitions, where walls and ceiling are white to reflect light. 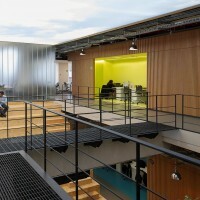 Here the decks of wooden furniture warm spaces. 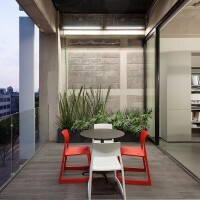 Splashes of color were given to the furniture on the terraces, which are also accompanied by plants that could withstand seasonal changes (mood, space terrace, as indoor spaces). 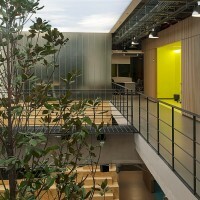 In the circulation and outdoor spaces there are no panels so all facilities and concrete structure are visible.